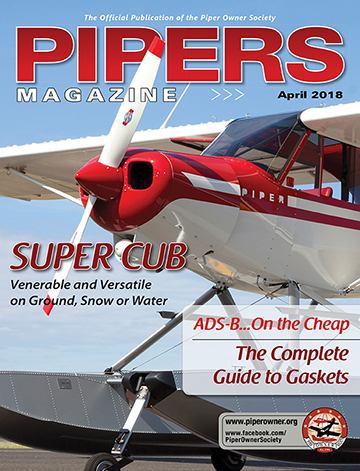 The Piper Owner Society team has been closely monitoring the investigation of the Piper crash in Florida at Embry-Riddle this spring. Forum moderator Scott Sherer offers his thoughts here. Piper Arrow Embry-Riddle Crash: What Should Piper Owners Do Next? “For those of us who have been following the Piper Arrow crash at Daytona, Florida airport last month, we are at least concerned and at most downright terrified. I’d like to shed some light on the situation and put this in perspective. Since I’ve owned eight aircraft over the last 50 years, I have some experience to share. My current aircraft is a Piper Arrow and so I am concerned, too. While a wing did come off of an Arrow on takeoff in Florida, we should keep in mind that the NTSB has determined that the cause is metal fatigue. The airplane in question had 7,000 hours of training in 10 years. That’s about 700 hours of primary flight training and hard landings every year. Most of our airplanes don’t get this kind of stress in a lifetime, much less in ten short years. If you’re concerned, here’s what you need to know gleaned from the best information available at this time. First, if you have a high-time PA-28 or any aircraft over 5,000 hours that has spent most of its life in primary training you should be concerned. Second, if your airplane doesn’t meet the first requirement, I wouldn’t worry about it too much. It is likely, but unknown at this time, that the FAA will issue an AD on this soon. This is probably a good thing for all of us. At our next annual inspections we should consider having the wing attach bolts inspected via eddy current testing whether there is an AD or not. This will give all of us peace of mind that our aircraft are safe. If an AD comes out, we will comply with it and also ensure that our airplanes are safe. This, too, will be comforting to all of us. Join the discussion on this important topic in our forum here. Read the NTSB press release article here on the Piper crash at Embry Riddle.